Delivery mode for this qualification: This qualification will be presented using both online and distance learning modes. Rules: Students should note that during the course of their studies they would be required to have access to a computer, printer and the internet. An appropriate Higher Certificate or A National Senior Certificate (NSC) (Diploma endorsement) with at least 50% in the language of teaching and learning and at least 40% in Mathematics or 60% in Mathematical Literacy or A Senior Certificate with at least an equivalent of 50% in the language of teaching and learning in terms of the NSC and with an equivalent of at least 40% in Mathematics in terms of the NSC or A National Certificate (Vocational) level 4 with at least diploma endorsement with an equivalent of at least 60% in the language of teaching and learning in terms of the NSC and with an equivalent of at least 40% in Mathematics or 60% in Mathematical Literacy in terms of the NSC. Each Unisa qualification is structured in such way that you need to pass a total number of modules within a certain amount of time in order to graduate. Choose wisely! Rather than choose too many, choose a number of modules you know you can manage and pass. Having said that, though, you also need to pass a minimum number of modules per year, so you can’t choose too few either. You must apply for each new qualification even if you already have a Unisa student number. You may apply for a maximum of two qualifications and can only apply online. If you are a first-time successful applicant, you may have applied for admission to two qualifications. 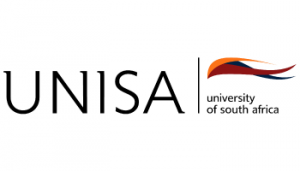 If you received confirmation from Unisa that you have been successfully admitted to both qualifications, you must now select and register for one qualification. If you received confirmation from Unisa that you have been successfully admitted to one qualification, you may only register for the approved qualification. If you are interested in the course, visit the Unisa website for more detailed information.